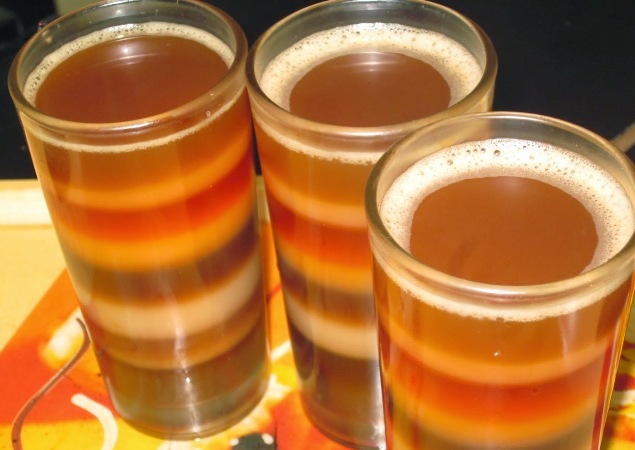 At Islam’s tea store, a cup of seven-layer drink costs about one US dollar whereas the average price of a cup of tea in the country is about Tk 10 ($0.12). “We mix different types of locally and China-grown tea—three black teas and one green tea—with milk and various spices. Each mixture has a distinct colour and taste, and I pour one on top of another to create seven distinct bands of colours including orange, black, white, strawberry, milk and green.